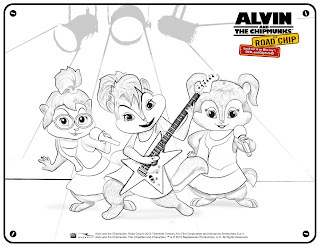 A few months ago, we had the chance to see Alvin and the Chipmunks LIVE that gave us a preview of their new movie, Road Chip! 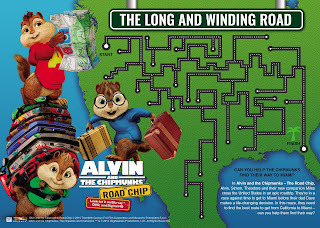 Follow Alvin, Simon and Theodore as they make their way down to Florida on the wildest Road Chip EVER! If you didn't have a chance to see them live or in theaters, WIN a the movie here! 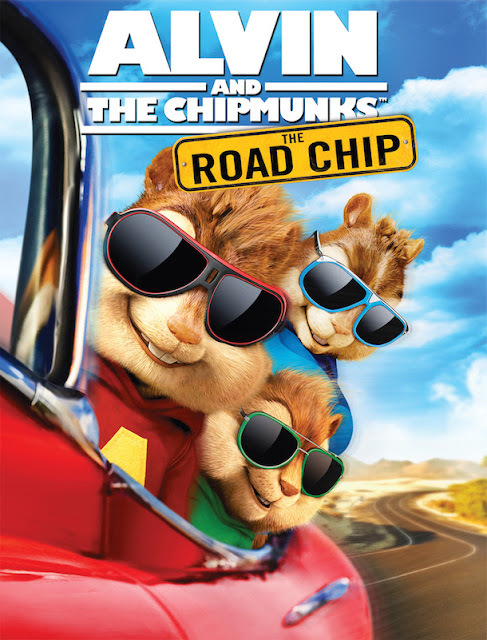 Twentieth Century Fox Home Entertainment’s Alvin And The Chipmunks Road Chip begins when Alvin, Simon and Theodore are off on another adventure is full of hilarious antics that are “fun for the entire family! You can now enjoy the adventure from home, with your favorite fur balls in the funniest Alvin and the Chipmunks ever! 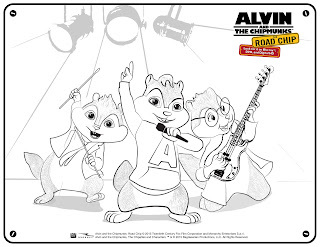 Alvin, Simon and Theodore race to Miami on a wild road trip, but their itinerary soon takes a nutty detour, leading to hilarious hijinks and music-packed adventures across the country. The Ultimate Playlist is featured on both Blu-ray™ and DVD so you can MUNK OUT to all the top hits from all the Alvin & The Chipmunks movies! Need a couple FREE activities for your children this Spring Break? Print out these fun printables below. 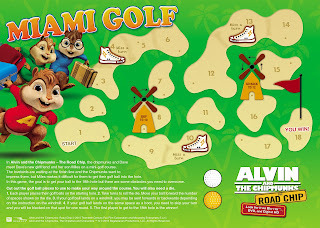 WIN A COPY OF ALVIN AND THE CHIPMUNKS: ROAD CHIP BELOW! Giveaway ends March 31, 2016 at 11:59 PM PST. Open to US Residents 18 and older only. Tickets will be mailed directly to the winner’s home (or mailing) address. Winner will be selected at random and be notified by email. Winners have 48 hours to respond before a new winner is selected. Not liable for unclaimed prizes or fulfillment. 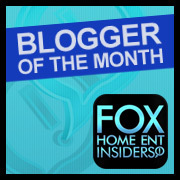 Blog has represented each sponsor with the expectation they will fulfill their prize and in a timely manner. No purchase necessary to enter or win; however you must enter for a chance to win. Purchase does not increase chance of winning. Chances of winning depend on number of entries. My opinions are my own and were not influenced by any form of compensation. Facebook, Twitter or any other social media platform are in no way associated with this giveaway. By providing your information in this form, you are providing your information to this blog. I do not share or sell information and will use any information only for the purpose of contacting the winner. Winners can only win once per month. Not liable for unclaimed prizes or fulfillment.